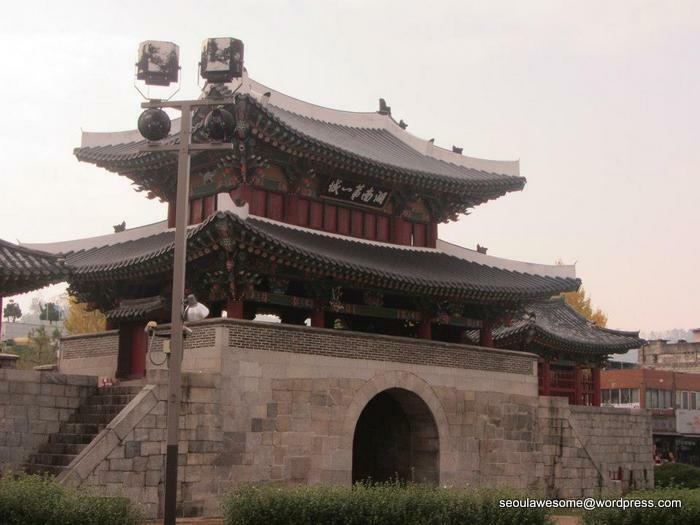 Jeonju, the capital of Jeollanam-do, is famous for its culinary culture and produce. Having done my research, Jeonju was chosen as part of UNESCO’s Creative Cities Network. I was hoping to taste really good Korean food in this city. I was invited to Todai International Buffet (토다이), which is a Japanese-Korean buffet restaurant located at Marina Bay Sands, Singapore. 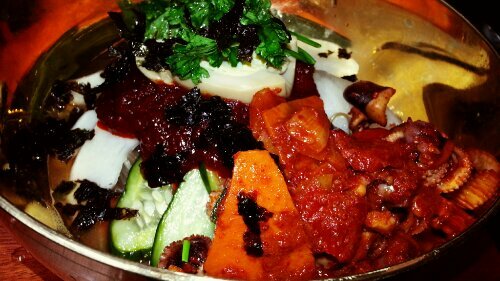 Proudly proclaimed itself as the “Mother of all Seafood Buffets”, it is most well-known for their widespread of seafood. Let’s check it out! As you enter the restaurant, you’ll be attracted by the colourful desserts and fanciful sushi. For K-pop fans, they’ll definitely be attracted by the “shrine of Korean pop idols” autographs, such as 2PM, CN BLUE, Rain and SE7EN. During chilly winter nights in Seoul, you’ll defintely want to get a pot of hot potato soup. We call this “Gamjatang 감자탕” in Korean. Koreans have lots of varieties of traditional sweet rice cakes or in Korean – tteok (떡) which are usually made with ﻿glutinous rice flour. I do not usually like sweet stuff but I definitely can’t resist tteoks which are usually not too sweet. 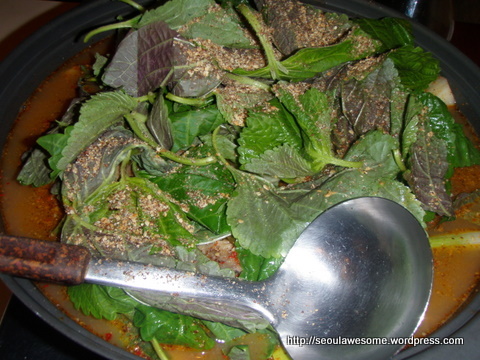 The above picture shows ﻿﻿Ggul tteok (꿀떡) which literally means honeyed tteok. ﻿ Unlike the name, they are not stuffed with honey but with Korean syrup. 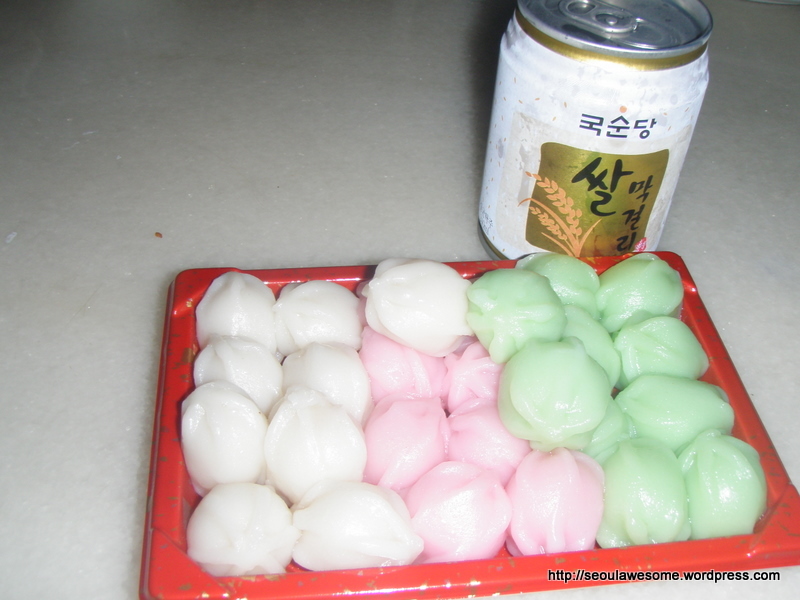 Usually tteoks are eaten with a cup of tea but I chose having them with a can of Makgeolli (막걸리) ! Have your Pepero on Pepero Day!